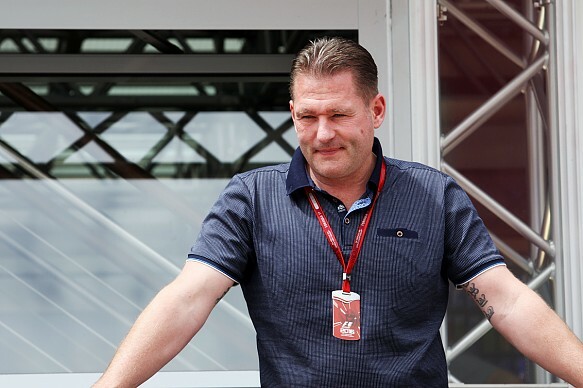 Jos Verstappen believes son Max’s cool composure on and off track was the key to him becoming the youngest grand prix winner in Formula 1 history. A first-lap collision between Mercedes drivers Lewis Hamilton and Nico Rosberg, allied to the perfect execution of a two-stop strategy, allowed Verstappen to take the flag in Spain, and his place in the record books, aged 18 years and 227 days. The fairytale story was made all the more remarkable given the race was his debut for Red Bull, coming just 10 days after he was promoted from Toro Rosso. “A lot has happened in the last two weeks, but the most important thing is Max can cope with it all,” said Verstappen Sr. “He has put in a lot of hard work, with excitement for himself to be driving a top car and for a top team. He’s very flexible, and he’s shown that again. “He’s cool, he knows what to do, but this is his life. He has been racing his whole life, so it’s quite normal for him. But to win a Formula 1 race, it will always be very special, particularly with the way he won it. Verstappen Sr. took two podium finishes in his F1 rookie season with Benetton, but was never a winner in a 106-race career spread across 1994-2003. He acknowledged victories had felt more achievable with his son’s move to the resurgent Red Bull team, but said events in Spain were a shock. Verstappen Jr m.ade his second stop after 34 laps of the 66-lap race, leaving him with 32 to run on a set of medium-compound tires that at best were expected to last 25 laps. With Ferrari’s Kimi Raikkonen chasing throughout, Verstappen managed to keep at bay the 2007 world champion, a man twice his age and with 236 races under his belt.